Stunning custom home,virtually brand new construction with modern, sleek exceptional design and functional floor plan. All done with high end finishes and superb magazine quality. Hi ceilings,marble & wood floors. Formal elegant living and dining rooms. Impact windows & doors.Sumptous gourmet chef's dream kitchen with all top of line appliances & gas stove. Marble counters & Italkraft cabintry. Split lavish master suite w/custom closet built out & luxurious bath!.Fabulous famrm & all generous sized bed rooms with pretty & serene vistas! 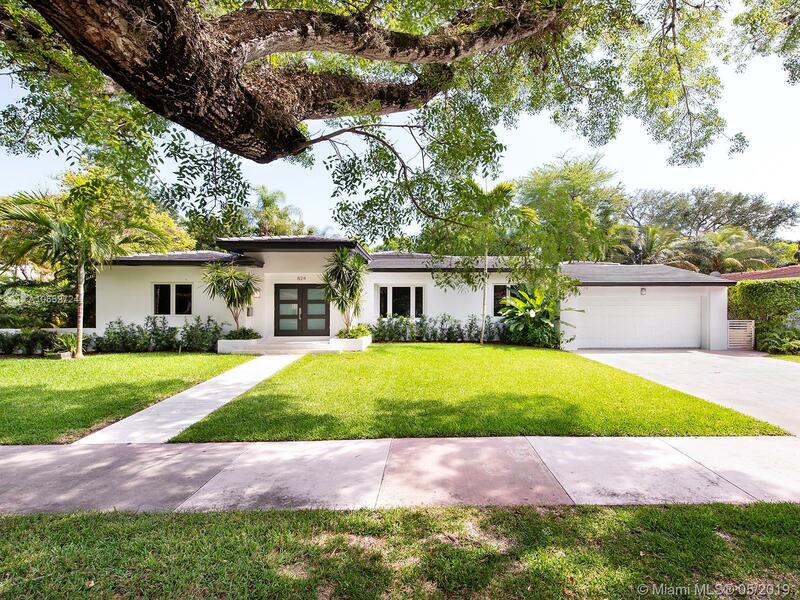 Private & lush backyard with tropical plantings and inviting open pool!Excellent location,situated in the heart of Gables on beautiful street w/wide swale.Steps to Biltomore & within a short stroll to fine dining & Miracle Mile! Much more! Outstanding!